Transfer Stations are used for waste transfer which is an integral part of waste management, because efficient transfer of waste to treatment facilities or to landfills away from city centers frees up valuable land and reduces pollutants. Vtormat Engineering offers integrated systems for waste transfer, featuring high-tech waste transfer stations. A waste transfer station represent a specially designed unit to compact and treat waste for the following recycling, landfilling or incineration. In waste transfer station, after compaction the waste carried by several trucks can be loaded onto just one trailer to be transported to MRF, landfill or incineration treatment sites, significantly reducing transportation costs and resources. 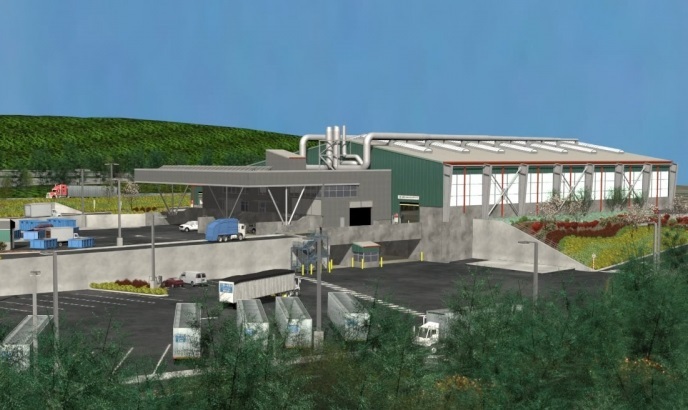 Usually built within residential locations, a waste transfer station is conceptualized and constructed according to our clients’ specific needs. Our systems have a comprehensive odor and dust control system built in to minimize pollution to the environment. There are not identical constructed systems – we develop our facilities for maximum results customized to our clients’ special requirements. Implementing best in class technologies, our team is able to simulate results based on specified variables, enabling our customers to gauge results before implementation.